Dr. Mary Jo Johnson and her staff offer complete wellness care including spinal adjustments, nutrition therapy, massage therapy, and exercise and rehabilitation therapy. 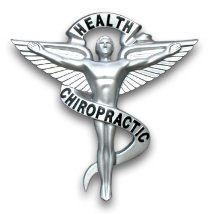 CWC is not just a back pain clinic but a whole person health care facility where chiropractic adjustments are part of a comprehensive health restoration and maintenance program. We can get you out of pain and we can also take you beyond being pain-free to a state of wellness where you'll experience better health, better performance, and a better life. Dr. Johnson and her staff have extensive training and certification with Dr. Howard Loomis of the Food Enzyme Institute. Dr. Johnson is an expert in back pain, joint pain, muscle spasms, and headaches. She can assist you with food allergies and digestive issues such as gas, bloating, constipation and diarrhea, help you lose or gain weight, and reduce non-beneficial reactions to stress such as fear, frustration, and anxiety, enabling you to meet the demands life places before you with greater confidence and ease. Dr. Johnson specializes in female health issues. Painful menstruation, PMS, stressful menopause and infertility are frequently shown to resolve following the resolution of dietary and nutritional insufficiency. If you've never been to a chiropractor there's no need to worry. She offers low-impact adjustments to the spine requiring no popping, snapping, cracking or twisting. These techniques enable her to gently and safely treat everyone from infants to centenarians.